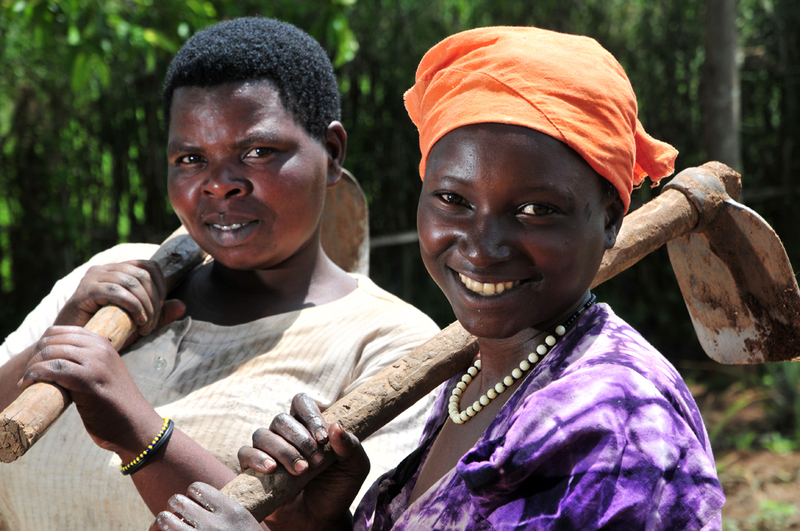 KAMPALA – Women in Uganda are working at the frontline of climate change adaptation, though most don’t even realize it. Farming is easily the most common occupation in this East African country. Much of it is small scale – scratching out just enough cassava, beans or maize to get by. And the vast majority of the people doing it are women – 80 percent according to some estimates. That means they are also the ones suffering most from the effects of climate change, whose impacts – changing weather patterns, intermittent floods and droughts and devastating landslides – can wipe out entire harvests and put families on the brink of starvation. To address – and mitigate – the impact of climate change in Uganda, it’s necessary the government and other policymakers engage these women farmers. Easier said than done, though, in a country where women’s rights and roles are severely restricted, especially in rural areas, and where government policies rarely attempt to correct gender imbalances. But figuring out how to navigate this complex intersection will be critical to the country’s future. 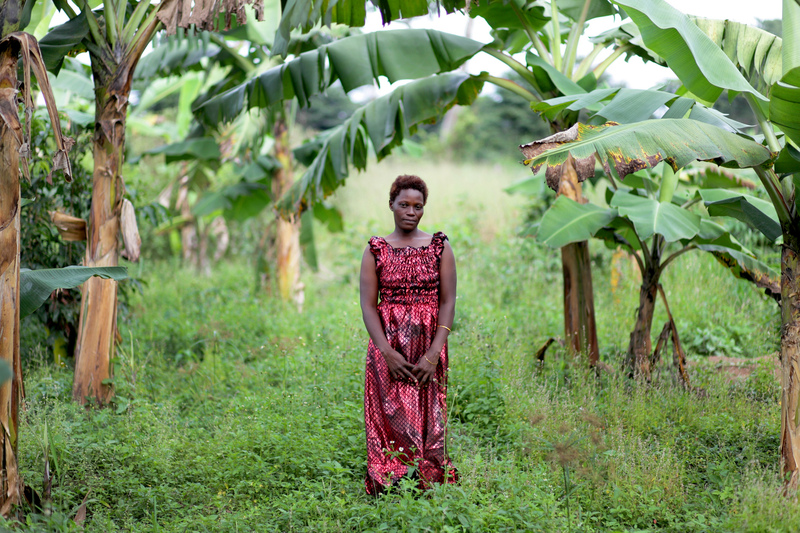 But that doesn’t quite capture to what extend climate change has the capacity to upend a woman’s life in Uganda. 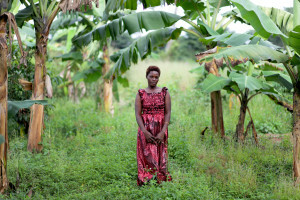 The story begins with a recent shift in Uganda’s rural communities, where the burden of subsistence farming has increasingly shifted to women and children. Tracy Kajumba is the national coordinator for the African Climate Change Resilience Alliance (ACCRA), a coalition of five international organizations working to improve the climate change response in three sub-Saharan African countries, including Uganda. Recently they conducted a gender analysis and Kajumba said they were startled by the degree to which most aspects of farming had been passed over to women. When ponds or streams go dry, it’s women and children who must walk farther in search of water sources. When landslides carry away fields, women are left to re-sow new ones. 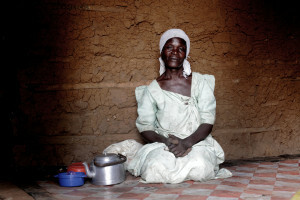 And, when food becomes scarce, women bear the brunt of the burden of feeding their families. “The women definitely provide food,” Kajumba said. “If a flood happens, a drought happens and food gets destroyed, she gets more stressed looking for food.” A situation that is exacerbated, she said, when men leave the communities in search of work and stay away for months at a time. There are solutions available, said Dr. Edidah Ampaire, the coordinator of the Policy Action and Climate Change Action (PACCA) project, which aims to create policy shifts to help communities better adapt to climate change. She highlighted the introduction of bean varieties that are resistant to drought. By disseminating them to women in communities that have begun to experience rain shortages, civil society organizations (CSOs) can help ensure there will be some food left to harvest and eat or barter – even in the midst of a drought. Simple but effective solutions like this are being piloted across Uganda, she said. But they are only a first step. Because unless you consider a gender component, they are not likely to succeed. 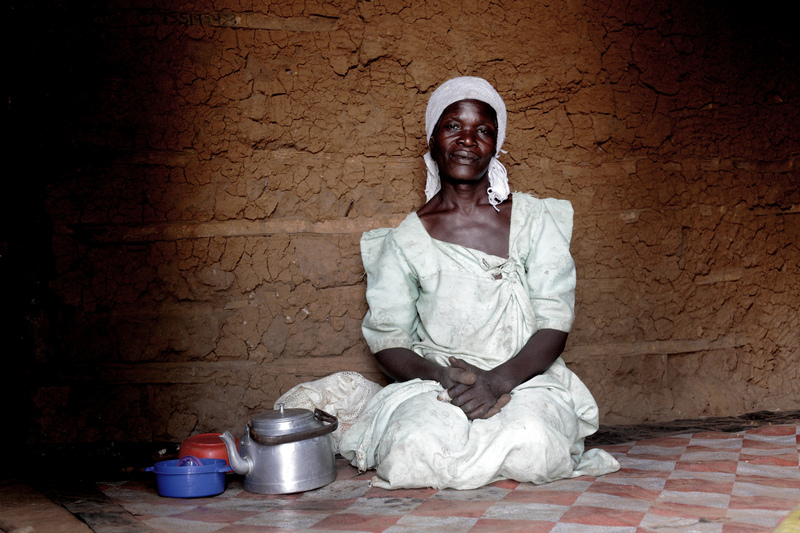 The reality is that Ugandan women are usually not involved in making decisions – even within their own households. That means they often don’t have a choice about what gets planted. Even if they do, they don’t necessarily have the capital to purchase new varieties or to buy other necessary commodities, like mulch. And it’s unlikely a woman is going to get a loan – at least, not without a husband or father getting involved. “You see now, how is she going to adapt?” Ampaire asked. Kajumba said they ran into an unexpected gender-based hurdle in their efforts to roll out better, up-to-date meteorological information to rural communities. They started out broadcasting the information each evening on local radio stations. Then they went to the communities to find out how useful the programs were. “The women were saying, ‘We are still busy in the gardens. We are bathing children,’” she said. “All these household chores don’t allow them to have time to access climate information, even if you put it on the radio.” As a result, they started offering the information in other forums, like churches, where women were more likely to actually be able to hear it. And this coordination – between generating activities to offset climate change’s impacts, while also being sensitive to the reality facing Uganda’s women – is still not happening enough, she said. On a broader scale, Ampaire said success would require a systemic attempt to upend social norms and convince people that women need to be involved in decision making – from the household up to the national scale. PACCA is involved in just that, offering recommendations for a soon-to-be-released Agricultural Sector Strategic Plan and working to introduce thinking about gender into climate change adaptation guidelines the Ministry of Agriculture is drafting. “There’s a whole work that needs to change in norms and that is probably going to take much longer time than just writing it into policies,” Ampaire said.